Los Angeles fraud offenses are a category of theft crimes in which the act of theft is carried out by trick, artifice or other device. While crimes such as shoplifting, petty and grand theft and burglary can carry severe criminal penalties, fraud crimes are sometimes treated more harshly due to the violation of trust that is often at the heart of every fraud scheme. The following are some of the more commonly charged fraud offenses in Los Angeles County. 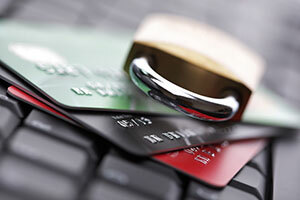 Credit card fraud is one of the most common fraud offenses that is charged by prosecutors. There are a number of ways that a defendant can commit a credit card fraud offense. In some cases a credit card fraud scheme can be complex and involve many parties who produce, distribute and used forged credit cards using numbers obtained with a skimmer device or purchased online. In other cases, credit card fraud can be as simple as using another person’s credit card without authorization. Because credit card transactions often cross states lines, credit card fraud may be charged in Federal Court by the United States Attorney. A person who is convicted of credit card fraud can face a felony conviction and could potentially be sentenced to serve several years in either a state or Federal prison. In many cases, insurance providers are the target of fraud schemes. People will knowingly file false or fraudulent claims in hopes that their insurer will pay out without doing any investigation. However, insurance companies often employ skilled teams of investigators whose role it is to detect and build cases against customers or others who may be involved in an insurance fraud scheme. Prosecutorial agencies also employ dedicated units to prosecute insurance fraud cases due to the high number of offenses that occur each year. Insurance fraud cases can involve auto insurance fraud, healthcare fraud and worker’s compensation insurance fraud among others. These cases are typically charged as felonies and can result in significant penalties imposed on those convicted, including prison sentences. In addition, the defendant would be required to pay restitution to the victim for any damages incurred. Many fraud schemes involve the use of fake documents, falsified signatures or other phony instruments. These cases can involve a great deal of sophistication or can be as simple as forging a signature on a contract or will. In many cases, a forgery offense against a senior citizen can provide the basis for criminal charges of elder abuse under California Penal Code Section 368 PC. Forgery also can be filed in connection with credit card fraud and check fraud where the defendant is accused of fabricating fake checks or credit cards or forging signatures on checks or receipts. Forgery is often filed as a felony and conviction can result in the imposition of severe criminal penalties. Welfare fraud is considered a high priority criminal offense by law enforcement, and prosecutorial agencies dedicate specialized units to pursue those accused of unlawfully obtaining public assistance funds. Investigators will pull bank and employment records to determine whether or not a suspect was receiving unreported income while they received state benefits. In many cases, those receiving public assistance benefits will be required to provide statements under penalty of perjury regarding their financial situation and lack of income. As a result, in many cases those who are accused of welfare fraud are also charged with perjury in violation of California Penal Code Section 118 PC. If you or a loved one have been charged with a fraud offense, it is critical that you speak with a Los Angeles Criminal Defense Lawyer as soon as possible. As a former Deputy District Attorney with over 14 years of prosecutorial experience, Los Angeles Criminal Defense Attorney Michael Kraut is highly capable of defending those charged with fraud offenses. Mr. Kraut was formerly assigned to the elite Major Fraud Division of the Los Angeles County District Attorney’s Office and understands how best to fight these types of charges. For more information about Los Angeles fraud crimes, and to schedule your free consultation, contact Los Angeles Criminal Defense Attorney Michael Kraut at the Kraut Law Group located at 6255 Sunset Boulevard, Suite 1480, Los Angeles, CA 90028. Mr. Kraut can be reached 24/7 at 888-334-6344 or 323-464-6453.